Where transit runs along a wide median separating travel directions, center-median stops highlight and give brand identity to transit service. 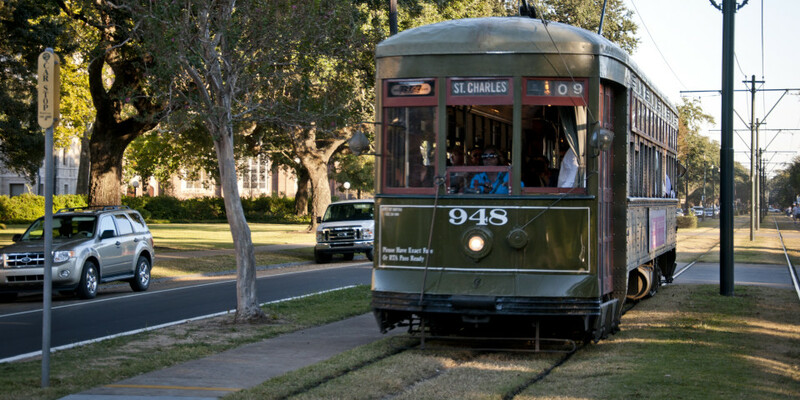 Often located on historically or culturally significant routes like vintage streetcar lines, the median stop often provides a wide and comfortable queuing space. Passengers may board from the edge of the median, with separate platforms for each direction. Where transit runs along a wide median separating travel directions, including light rail, streetcar, or BRT routes. On multiway boulevards, median stops may be provided on the island between the primary and service roads. Where transit service is faster along longer routes, stations are spaced further apart (typically 1/2 – 1 mile), with a greater amount of investment in quality and comfort. 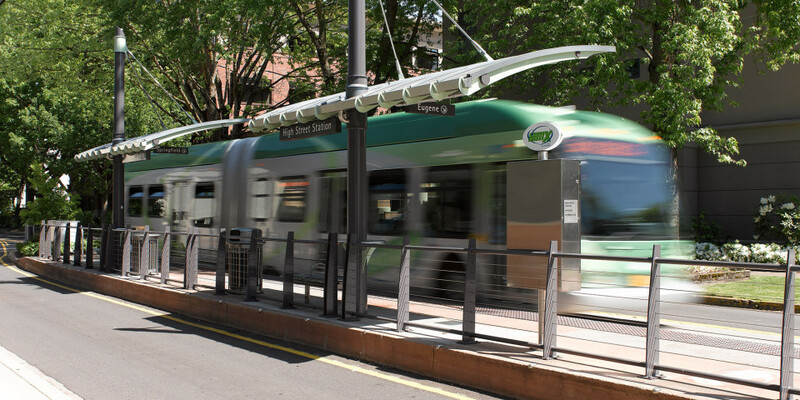 Multiple cities including San Francisco, Washington, and Portland have undertaken efforts to consolidate stops and increase spacing in order to provide more reliable service. 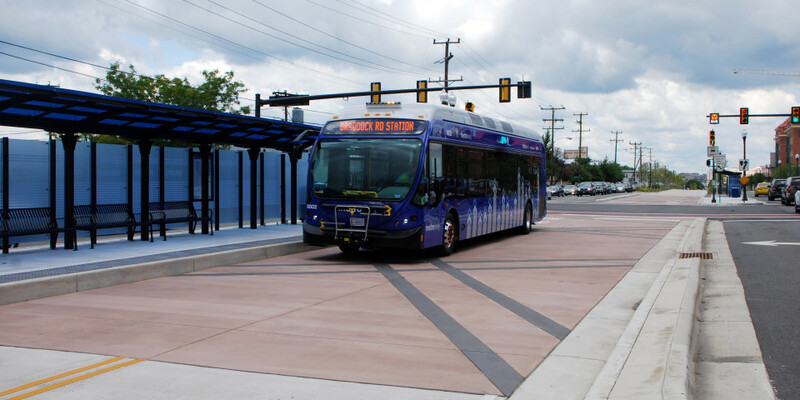 Guidelines for the Design and Placement of Transit Stops. Washington Metropolitan Area Transit Authority (2009). Ben Baldwin, et al. Bus Stops Guidelines. TriMet, Portland (2010). Stations enjoy many of the benefits of center-boarding islands, but with increased separation from travel lanes and passenger comfort. The center median stop provides ample space for passengers boarding and alighting. Continuous median provides space for plantings and other streetscape elements. Stations should provide high-quality physical space and passenger amenities, including shelters, seating, system information, trash receptacles, and fare machines. 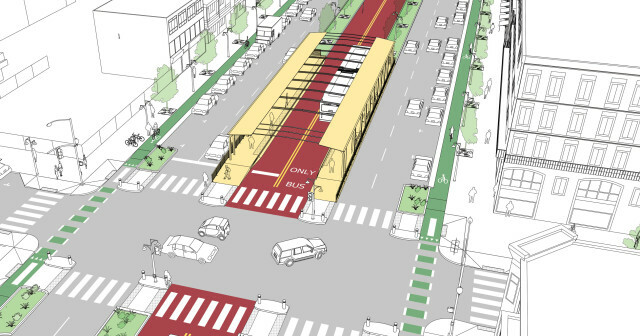 Especially on existing streetcar lines, median stops offer challenges to universal access. Upgrades to stops should include accessible ramps to reach the platform. Accessibility may also be challenging where existing islands are narrow. Vehicle solutions, such as using bridge plates instead of foldout ramps, can reduce the necessary width of the island. Left-turn restrictions or phase separation should be incorporated, especially near stations. Left-turning vehicles present common conflicts with pedestrians and transit vehicles. As passengers are required to cross travel lanes when entering and exiting stops, intersection design and signalization must prioritize pedestrian movements to eliminate turn conflicts. Consider treatments to address the safety concerns presented when passengers run across travel lanes to catch an approaching train. Track crossings may demand special treatments to guide pedestrians through stations with limited sightlines, including signage and markings or active warning systems to draw attention. Treatments like Z-crossings and barriers that disrupt pedestrian paths should be limited to locations where safety is a demonstrable concern. At some mid-block locations, unsignalized crossings, and streets with high speeds, Z-crossings that help to direct pedestrian sightlines towards oncoming traffic may be appropriate, but are not appropriate in most urban contexts. 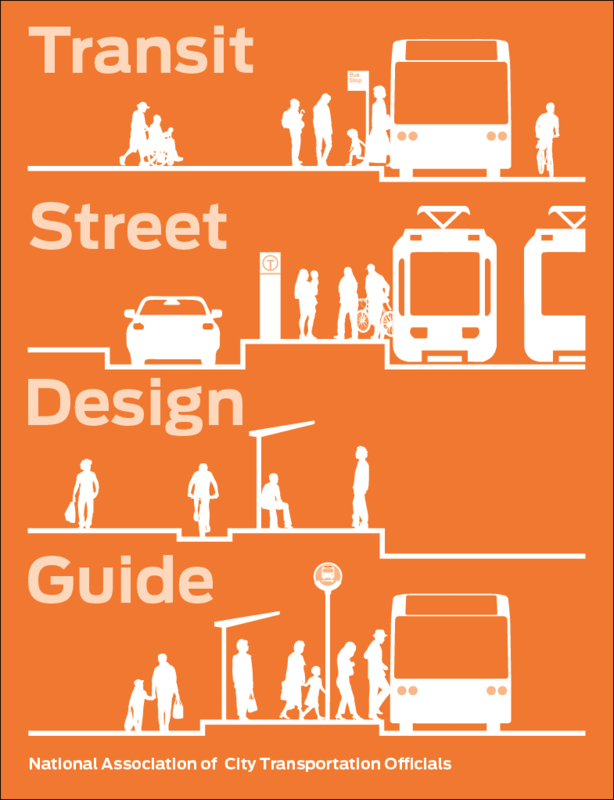 Station and Support Facility Design Guidelines User Guide: A Supplement to the Regional Transitway Guidelines. Metropolitan Council, Minneapolis, MN: 2012. Platform length must be sufficient to serve the expected number of buses or railcars at the station consistently throughout the day (see In-Lane Stop Length). Platforms must provide at least 8 feet of width plus any width required for shelter or railing installation. Clear landing areas must be provided at all doors, with 4-foot paths for the length of the platform. 24-inch deep detectable warning strips are required where pedestrians cross into vehicle or bike lanes across flush surfaces, and along the entire boarding direction of platforms higher than a typical curb height (4–6 inches). Ensure that pedestrian refuge islands crossing transitways are wide enough to allow groups of people to wait, particularly near stations. Discourage pedestrians from waiting in unsafe locations in the roadway, especially near railways. Where spacing between parallel tracks provides no clear zone between passing LRVs, clearly indicate the danger area and employ designs which discourage pedestrians from waiting in this area. Platform height should aim for level or near-level, or low-floor boarding (10–14 inches). “Mini-high” platforms may be used as a retrofit treatment to provide accessible access at select doors on vintage or historic streetcars. The mini-high platform serves one door of the rail vehicle, typically the front door, and constitutes any boarding height over 14 inches. This is Light Rail Transit. Transportation Research Board (2000). Transit curbs allow transit vehicles to pull within 2 inches of the platform. Where right-of-way width allows, both stations can be located on the same side of the intersection (as shown in the illustration above). Median side-boarding stations can also be staggered along a block or offset across intersections. This may be advantageous where width is constrained, or to enable active transit signal priority, or to provide signalized left turns. Left-turn restrictions or phase separation should be used if median stations are near a left-turn movement to address conflicts with mixed traffic, both for transit vehicles and for passengers entering and leaving stations. Where stations are staggered along a block, provide refuge islands and signalized crossings at desire lines, such as between the platforms or at a mid-block point. Robust shelters provide climate-appropriate protection from rain, wind, and sun. Shelter roofs should overhang transit vehicles. References for Median Stop, Right-Side Boarding: 4 found. Metro Transit. "Station and Support Facility Design Guidelines User Guide: A Supplement to the Regional Transitway Guidelines." Metropolitan Council, Minneapolis. Anthony J Schill, et al. "This is Light Rail Transit. Transportation Research Board, Washington, DC: 2000.." Light Rail Conference Planning Committee, Transportation Research Board, Washington.